When Obama mentioned the unequivocal respect of the 'Rule of Law' at the Nuclear Security Summit in the Hague, he must have been talking about the US in some alternate universe. Billions of taxpayer dollars spent to overthrow the government of Ukraine for political power purposes seems unlawful to me as do the many examples of illegal wars, occupations and destruction inflicted upon various parts of the world by the US, NATO and others. The process by which the laws are enacted, administered, and enforced is accessible, fair,and efficient. The absence of corruption - conventionally defined as the use of public power for private gain - is one of the hallmarks of a society governed by the rule of law, as corruption is a manifestation of the extent to which government officials abuse their power or fulfill their obligations under the law. Forms of corruption vary, but include bribery, extortion, improper influence by public or private interests, and misappropriation of public funds or other resources. From these definitions it appears the US is lacking considerably in the rule of law. But back to the summit. Allegedly to prevent nuclear terrorism, 35 nations signed on to an initiative that commits countries to open up their security procedures to independent review. Israel was one of those who signed the agreement. Pardon my skepticism but Israel doesn't officially admit to even having a nuclear weapons program and in the event of a nuclear 'terrorist' attack, wouldn't they be at the top of the list for having pulled it off, what with their known history of false flags? Now that all the Israeli embassies are closed due to the diplomats being on an indefinite 'strike,' it leaves us to wonder exactly what may be coming? An Iran or Syria strike or maybe a smaller false flag action as a means to possibly the same ends? Would Israel kill the US empire out of insanity, start a major war and as a last resort use their Sampson Option? Are the banking oligarchs total lunatics and would they go along with this? Or maybe much of this is for distraction purposes and the slower long term plans are still in place? I don't know if Albert Pike wrote some general plans for World War III but someone did and it's an over 100 year old idea. Would Pike be satisfied with the progress being made? It is reported... Kiev decides to tame eastern Ukraine by foreign mercenaries (for profit death squads). Is there any kind of common sense rule of law that might apply to an offshore account American mercenary company profiting through pain and misery in the theft of a country? What will Putin do if they kill Russian speaking and other allies in eastern Ukraine? It seems similar to the Poland-Germany situation that ended up a provoked catalyst to World War II. 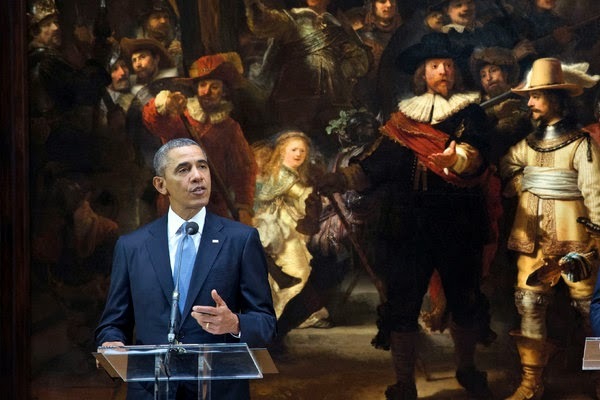 Obama, at the Hague (shouldn't he be on trial there with many others? ), also addressed the spying on everything and everybody game and assured us that we will soon have nothing to worry about. The White House has proposed to halt the National Security Agency’s controversial bulk telephone data collection of U.S. citizens, a program which sparked a vast public outcry. The plan would store the data outside of government while allowing access for national security reasons, officials said. President Barack Obama — in The Hague for a nuclear security summit — called the plan “workable” and said it “addresses the two core concerns that people have” about the NSA’s surveillance. What? No back door deals with back door access to everything and then sending all of it to Israel as well? The surveillance society wants us to believe it's all being pulled back to a more constitutional stance but liars always lie. The Snowden psyops continues on down the line and if the plan is successful, we will just accept the spying, our slavery and shut up... but the big lies are not working all that well anymore. Since Middle Tennessee is the Southern 'ground zero ' of the manufactured Islamophobia psyops, it draws in both paid provocateurs and willing idiots to assist in keeping the pot stirred. 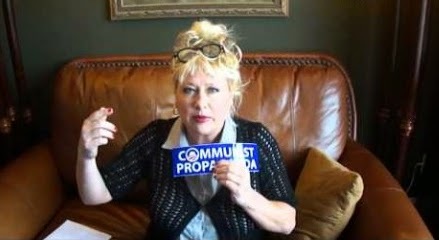 Victoria Jackson, former Saturday Night Live 'star,' has moved into upscale Williamson County squeaking her cockeyed Christian views and faux conservative anti-Muslim activism. She has also proclaimed her candidacy for County Commissioner after living there only a few months to fight for the "Soul of America" with a rallying cry of "We Don't Want No Socialism." It's actually funnier than any SNL skit she ever did. Vickie has a website if you like self-torture but I'll just hit the highlights. She is of course a zionist and holohoax promoter. That's a prerequisite for both her old New York job and this new endeavor. She is also prone to saying such things as "I love Jews. So, I am a Jew." "I was happy to see Congress applauding Netanyahu and the side of good. Obama does not represent America. We support Israel." Jackson started her local shtick with bizarre screeds against the Murfreesboro Mosque but as that issue has gotten worn out, she's on to other things. She may not get this guy's vote though. I was happy to see Congress applauding Netanyahu and the side of good. Obama does not represent America. We support Israel. The washed up Victoria couldn't get a show biz job anymore so I can imagine that maybe she heard this: "You've lost your youth and appeal but we have a gig in Tennessee you might be interested in." I don't know whether Jackson is getting some expenses covered in this new routine but still, every bimbo joke directed her way is definitely deserved and more. She won't win the election though. Not even in the county that Miley Cyrus was raised in are the majority that dumb. Oh wait...they do keep voting in Marsha Blackburn to Congress. 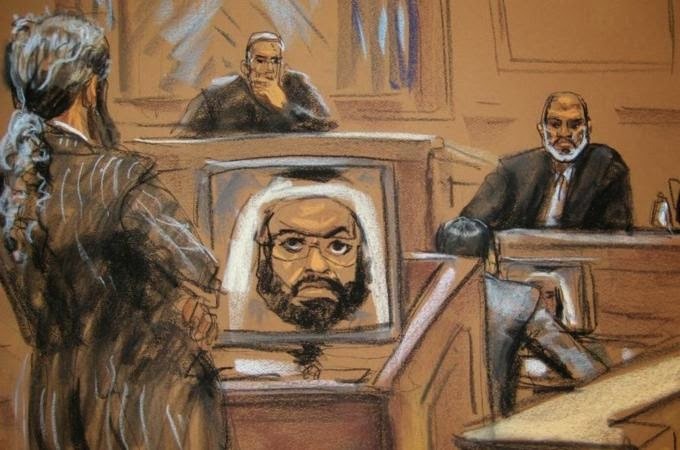 In an actual live from New York comedy sketch, the trial of bin Laden's son-in-law Suleiman Abu Ghaith got a surprise when Abu Ghaith testified on his own behalf and rambled on about how he even met bin Laden on the night of 9/11, in a cave no less. Maybe this one that somehow was never found but its diagram was in all the newspapers the day after 9/11? His testimony was needed since the judge would not let star defense witness, the waterboarded dunce patsy 'mastermind' of 9/11 Guantanamo leading man Khalid Sheikh Mohammed, to take the stand. We'll be waiting for Abu Ghaith's testimony upon cross examination by the prosecution on how daddy-in-law was always on the CIA's payroll and that he was too. But not holding our breath for long on that one. I haven't watch SNL in ages except for a few online clips, it was getting very stale long ago, but we can get our fix at any time of the day or night by just turning on the news. The absurd and often poor and degenerate SNL skits and the poor media propaganda skits have a lot in common. Sometimes it's hard to tell them apart. SNL does occasionally have some decent bands but it's rare these days. Although it is getting a lot of mainstream press, the Crimea vote is overshadowed by the ghost plane and that suits many Americans who prefer a good mystery over a course in US Hypocrisy 101. 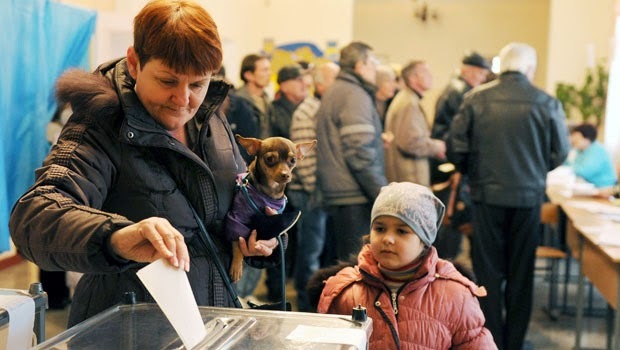 Notice anything strange in the Crimea voting process? They use paper ballots! How primitive. But seriously, even though there can be fraud the old fashioned way with paper, our high tech electronic machines were specifically designed to rig elections as necessary. No election in our country can ever be considered legitimate until we scrap the machines and go back to paper with plenty of honest counters and watchers. I'll volunteer for that. How about you? It is reported that around 93% of voters in Crimea have backed joining Russia and seceding from Ukraine, according to exit polls quoted by Russian news agencies and officials hailed a "record" turnout. We'll get the official tally soon. Remember that it's only in the US that there's a relatively new phenomenon of exit polls being way off. This vote goes to show that people will gladly cast their ballots when they feel it is in their best interests and they can trust the results. What happens from here? That's a real mystery that remains to be seen. At the least Crimea doesn't get the tentacles of the IMF wrapped around it which the rest of Ukraine will unless the people there grow a backbone against their enemies. In signs of sanity, "More Ukrainian cities call for secession vote." The paid provocateur thugs are already threatening to blow up the Russian pipelines on Ukrainian territory and the EU is making contingency plans even if the pipelines stay intact but Ukraine can't pay its bills to Gazprom. It seems to be a losing proposition for the EU and Ukraine. Who benefits? Certainly not the average citizen. A $5 billion price-tag to bring about a pro-US regime change in Kiev, chaos and austerity. Same game, different country. So one thing is clear: Jews helped to finance this “revolution” in Ukraine and Jews mostly benefit from it — notably the wealthy Jewish oligarchs, the new Jewish Prime Minister, and various Jewish government officials who have now sprung to positions of power. In essence, the Ukrainian coup d’état can be seen a Jewish takeover of Ukraine. Many will see some parallels here, albeit on a far more minor scale, of the 1917 Jewish-led Bolshevik Revolution in Russia. A Russo-Iranian Bloc against the United States? The shame is that we don't have an American citizen bloc against the madness of our corporate, banker, media, traitor bloc that engineers the theft and control of everything they want. We shouldn't have to hope that Russia, Iran, Syria and especially China will hold their own against the West when we fail to rein in our own criminals. Via Ed(itor), here are some excerpts from the Wayne Madsen Report on Cass Sunstein's new book " Conspiracy Theories and Other Dangerous Ideas." Once again we have to ask if the release was engineered around current events or just a coincidence? Asking questions is dangerous in Sunstein's world. He would prefer we take safer routes and just accept whatever our government and media says are the facts and go back to sleepwalking and daydreaming. Although one should not judge a book by its cover, Sunstein’s book has an almost obligatory drawing of the “all seeing eye” found on the U.S. dollar bill, a bete noire for those who believe that Freemasons secretly run the affairs of the United States. Sunstein not only believes that conspiracy theorists are dangerous members of society but that they tend to lump all conspiracies into one master grand conspiracy with the Illuminati and Freemasons behind them all. Sunstein’s generalizations and the wide brush he uses to criticize those who demand accountability from their government is typical behavior for academic elitists like Sunstein. 1. Those who believe that the U.S. government or Israel were ultimately behind the 9/11 attack. 2. Those who believe that the CIA was involved in the assassination of President John F. Kennedy. 3. Those who believe Dr. Martin Luther King was assassinated by U.S. government agents. 4. Those who believe that TWA 800 was brought down by a missile. 5. Those who believe that the Illuminati secretly runs the world’s affairs. Sunstein mentions other “conspiracy theories” but the aforementioned appear to be his Top Five. Sunstein’s book appeared on bookshelves just days prior to the mysterious disappearance of Malaysian Airlines flight 370, which was en route from Kuala Lumpur to Beijing. Almost immediately, the Pentagon began to issue “intelligence” reports, lapped up by a sycophantic and unquestioning media, that indicated that U.S. spy satellites failed to detect a “flash” from an explosion on board the missing Boeing 777, and it was a U.S. military “observation” aircraft that supplied the news media with what was purported to be a door from the missing Boeing. Now enter Sunstein with his interestingly-timed book release on dissembling conspiracy theories. Sunstein’s book also comes at a time when his wife, Samantha Power, is busy shooting down proven “conspiracy theories” identifying the Ukrainian coup plotters as being behind the sniper attacks on Maidan Square protesters and police. In addition, there is emerging strong evidence that State Department European Affairs official Victoria Nuland’s favorite, Prime Minister Arseniy Yatsenyuk, is a longtime member of the Church of Scientology, a cult founded by CIA and Tavistock mind control practitioner L. Ron Hubbard. With so-called “conspiracy” facts now penetrating the coverage of MH-370 and the Ukrainian crisis, Sunstein’s book appears thanks to a sweetheart book contract with Simon & Schuster, a division of leading neo-con Sumner Redstone’s CBS Corporation. 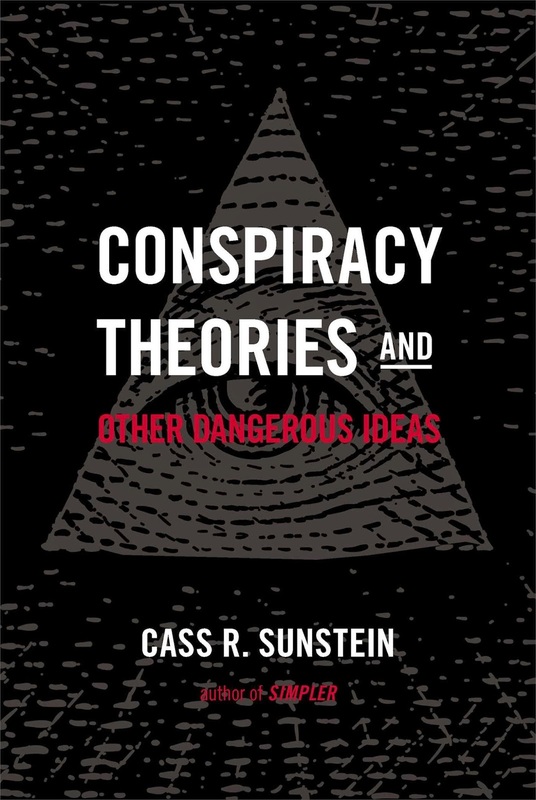 In essence, Sunstein’s new book is a rehash of his past academic papers and articles on the danger of “conspiracy theories.” However, it is the timing of the book’s release amid his wife’s machinations in the United Nations with neo-cons like UN Undersecretary for Political Affairs Jeffrey Feltman and his State Department-based co-conspirators, Victoria Nuland and U.S. ambassador to Kiev Geoffrey Pyatt, that is the real news with the appearance of “Conspiracy Theories and other Dangerous Ideas.”"
Many millions of people hold conspiracy theories; they believe that powerful people have worked together in order to withhold the truth about some important practice or some terrible event. A recent example is the belief, widespread in some parts of the world, that the attacks of 9/11 were carried out not by Al Qaeda, but by Israel or the United States. Those who subscribe to conspiracy theories may create serious risks, including risks of violence, and the existence of such theories raises significant challenges for policy and law. The first challenge is to understand the mechanisms by which conspiracy theories prosper; the second challenge is to understand how such theories might be undermined. Such theories typically spread as a result of identifiable cognitive blunders, operating in conjunction with informational and reputational influences. A distinctive feature of conspiracy theories is their self-sealing quality. Conspiracy theorists are not likely to be persuaded by an attempt to dispel their theories; they may even characterize that very attempt as further proof of the conspiracy. Because those who hold conspiracy theories typically suffer from a crippled epistemology, in accordance with which it is rational to hold such theories, the best response consists in cognitive infiltration of extremist groups. Various policy dilemmas, such as the question whether it is better for government to rebut conspiracy theories or to ignore them, are explored in this light. Let's hope that Sunstein's latest rehash of the same old same old is a poor seller and that he and his wife are increasingly seen for exactly what they they are.....social engineers paid to enable and promote the US zionist empire and the one world crime syndicate. What we need to continue doing is rather simple. Keep researching the best we can, hone our discernment and speak our minds freely without fear. Isn't that what the Sunstein creeps really are afraid of the most? 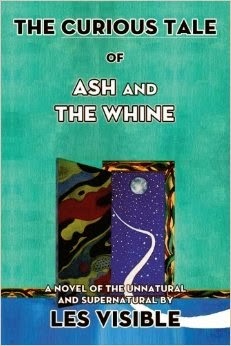 Jewish director Darren Aronofsky has made a movie that he hopes will bring him in a lot of money. Getting banned in Arab countries helps his cause. Qatar, Bahrain and the U.A.E censors have all banned the film from being distributed in cinemas nationwide on the grounds of the film’s contradictions of Islamic teachings. Artistic depictions of 'prophets' not allowed. No kidding. It's what Hollywood does. As Richard Edmondson commented awhile back, "I wonder if Islam didn't make the same mistake Christianity did--in giving way too much credence to the Old Testament." Of course Muslims should have left out the Old Testament if they were honest. Christians should have too. Oh, but they are Abrahamic religions so they say, coming from the same source. Judeo-Christianity and Judeo-Islamic teachings are out of balance. Incorporating a vengeful, not so nice deity into religions of love and peace created a cognitive dissonance that has yet to be overcome. It was by design of course. Control of populations comes easier under the threat of a wrathful god. We shouldn't forget that the Quran and the New Testament also borrowed heavily from Vedic teachings. The Old Testament could perhaps be considered the most plagiarized book ever written. 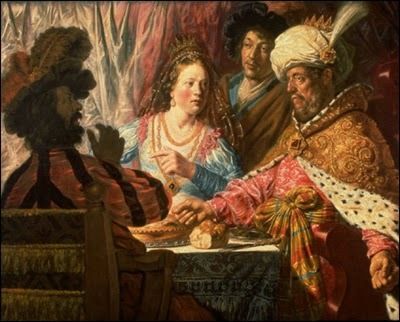 Hebrew 'scholars' robbed every old story and myth they thought would fit their narrative and made it their own. In that process they came to call themselves the 'chosen ones' and have convinced many of the gullible that it is a fact, much to the chagrin of the rest of the world. Aronofsky has put together an art exhibit called "Fountains of the Deep: Visions of Noah and the Flood" as part of his promotional efforts. Many of the artists come from the comic book world which seems fitting. Controversy? What controversy?" Exploiting a Bible story to separate folks from their money is a tradition. But even though millions may believe in the Bibical Noah tale as the true facts, the story of the flood predates the OT and has been reported by cultures all over the world. There are over 600 global flood myths collected from every continent. 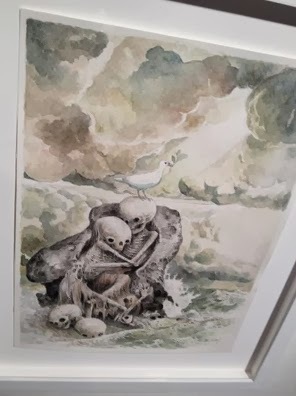 "he who is very wise"
The idea of cataclysmic events, even extinctions, or nearly so, of long ago civilizations is a theme that can't be dismissed. "In the fields of archaeology, geology, and astronomy the last few years have brought a vast array of facts to corroborate the claims that there were physical upheavals of a global character in historical times; that these catastrophes were caused by extraterrestrial agents; and that the nature of these agents may be identified. Just because massive floods, earthquakes, tsunamis, volcanoes, asteroids may have decimated even high tech civilizations long ago doesn't mean that only one family, Noah's, survived. Our gene pool would have been a little too shallow. Evidence points to many thousands who lived to migrate and start all over again. Graham Hancock's "Quest For the Lost Civilization"
One more recent discovery of a gone missing civilization is Gobekli Tepe in the Taurus Mountains of southeast Turkey. Considered by some to be thousands of years older than the Egyptian pyramids, the mainstream has one opinion of its origin and function while others take a deeper view. Buried by cataclysmic water and mud and sand? How is it possible that a hunter/gatherer society suddenly transforms itself to be able to build such a magnificent megalithic site with no equals in the world? I strongly suspect that the transition was engineered by an extremely powerful and very cunning shamanic or priestly-based ruling elite, who knew how to easily manipulate and motivate the local population. 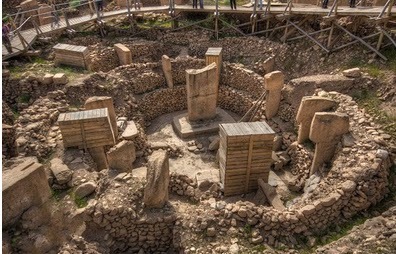 It would have required a considerable work force of hundreds of people to have constructed sites such as Göbekli Tepe, and this has to have been controlled by a ruling body of immense persuasiveness. The question remains as to where this elite might have come from, and whether independent evidence of their existence can be found anywhere. Another interesting find is that of what could be the oldest pyramids in the world in Crimea. There are said to exist 37 pyramids on the Crimean peninsula down southeast along the coast line. 7 underground pyramids - as claimed - were found by Dr. Vitaly Gokh near Sebastopo. Within many centuries the pyramids were not discovered neither by archeologists, nor geologists or local residents. Certainly, such discovery suggests mystification. 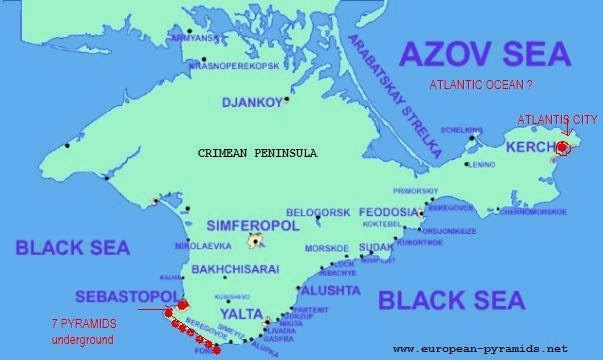 But researchers led by Vitaly Gohom consider, that huge constructions remained “invisible” for one simple reason: all Crimean pyramids are completely covered by land. Lots of digging required to excavate these pyramids, if that is what they are. If so, they apparently were buried in a cataclysm. If Russia annexes Crimea would they fund the dig? Let's hope so. The study of extinctions and the deluge are subjects that could take a lifetime. We can only scratch the surface here in very simplistic ways. 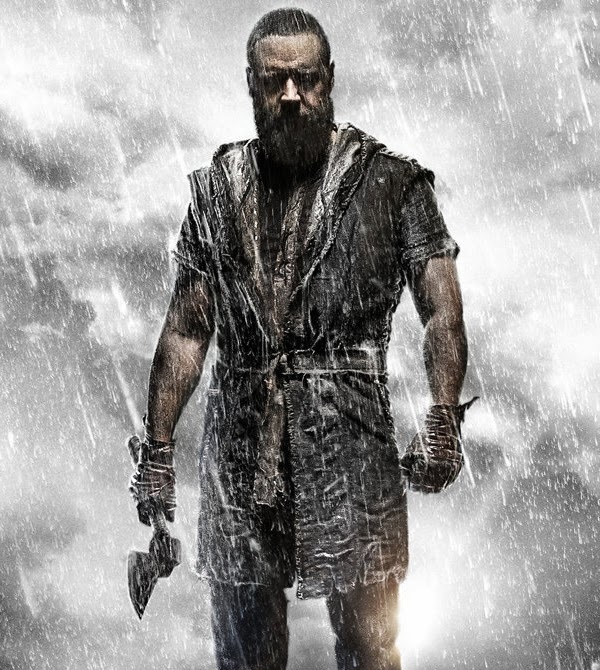 There's no need to ban this new movie "Noah." We should just view the story as one stolen from other writings, embellished by Hollywood and a pandering to Christians for a buck. In the spirit of non-cooperation, we should just boycott it and urge others to do the same. We won't have missed a thing.